As you probably know if you follow tech news, people have been leaving Nokia for a while now. The team formerly behind MeeGo and some other experts left Nokia and created Jolla, a startup that will create the Jolla OS, seen by many as the follow-up to Meego. 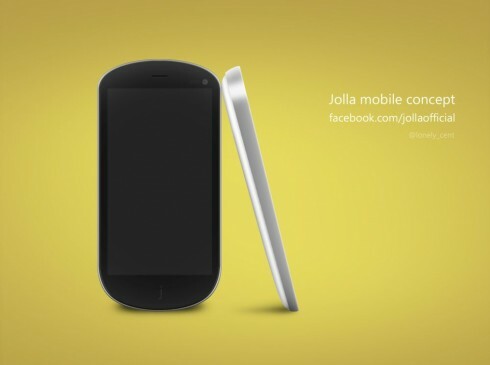 Now Shihuzaan sent us his first concept of a Jolla mobile phone. Jolla announced that it will reveal its first phone this year and many expect somehow for them to deliver some sort of Nokia N10. Well, moving on to our mockup, we find here a full touch device with the letter “J” etched on the front and used a notification LED. The device adopts a 3.9 inch LD display with 854 x 480 pixel resolution and supports USB OTG for charge, mass storage and sync. Other features include a microSD card slot, 8GB of storage, microSIM card slot and two loud speakers at the bottom. At the back there’s an 8 megapixel camera with Full HD video capture and inside we have a dual core CPU with powerful GPU. Finally, we’ve got a 2 MP camera upfront and camera, volume and lock buttons on the right side. The handset’s design reminds me a bit of the Nokia C7 and it has a bit of a teardrop thing going on with its profile, which is cool.